This course is designed for students (natural and social scientists) who want to more effectively transmit their scientific knowledge and research outputs to their target audience - policy-makers, journalists and the public. Students learn how to creatively communicate scientific knowledge and gain valuable insights on how best to represent and frame their research simply and clearly. The course develops four core skills - communication, expression, literacy and collaboration. Speak clearly and vividly about their science and why it matters for a public audience without "dumbing down" their message (communication and expression). Analyze how complex scientific issues are represented, framed and communicated in contemporary media (literacy). Develop strategies for effective media engagement in the communication of their research (communication, expression and collaboration). 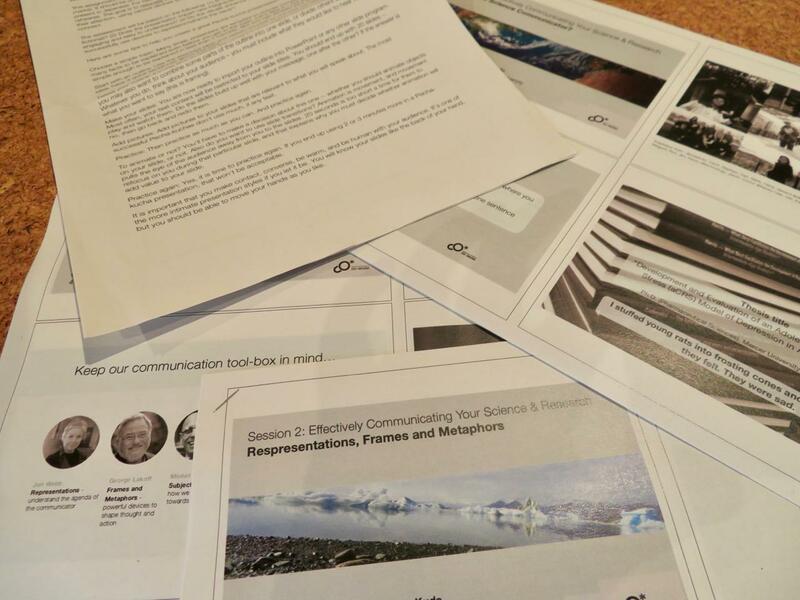 Develop a sophisticated understanding of the role of science communication (literacy). 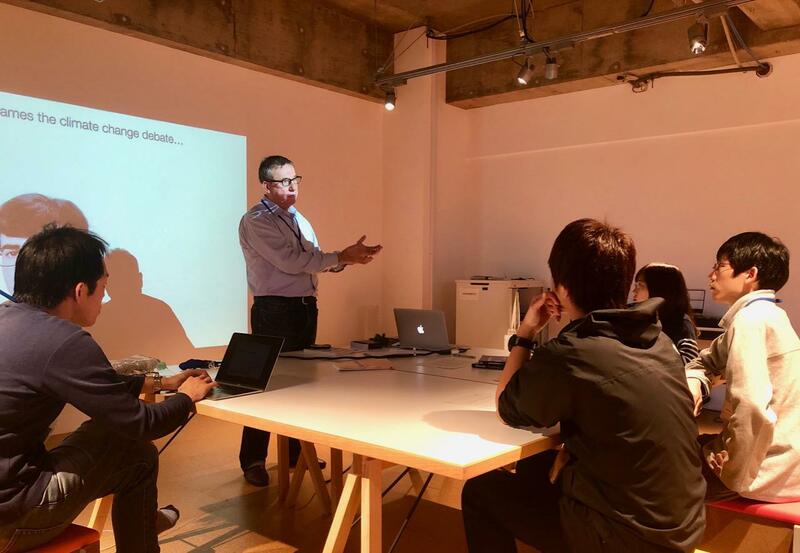 In this article, we share the student experience of the course jointly taught by Brendan Barrett and Mitsuru Kudo at the Co* Design Center. The course helps students improve their English presentation skills by providing them with lots of useful tips and ideas, as well as practical exercises. 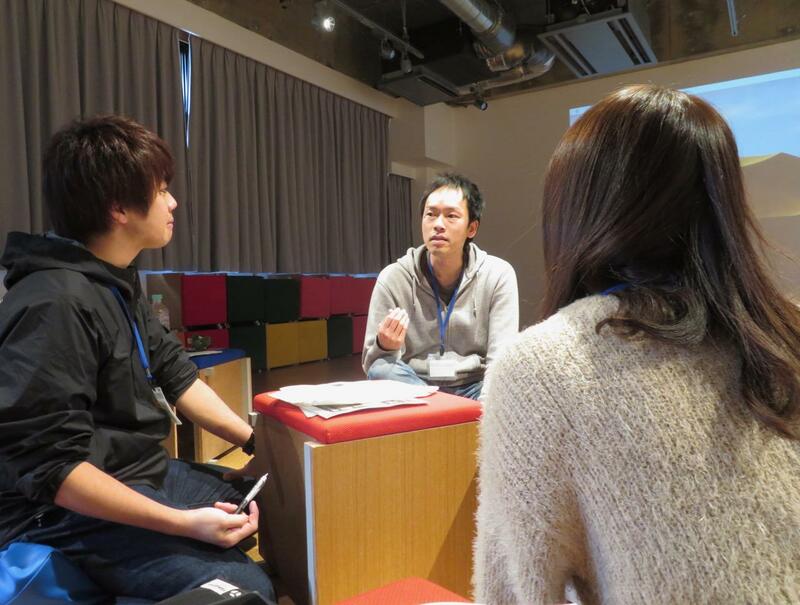 For example, in the class on December 4, the students were introduced to the pecha-kucha style of presentation. The format of a pecha-kucha presentation is 20 slides with 20 seconds per slide. It is designed to encourage students to be creative, using engaging photos and no text. ・Decide whether or not to animate your slides? 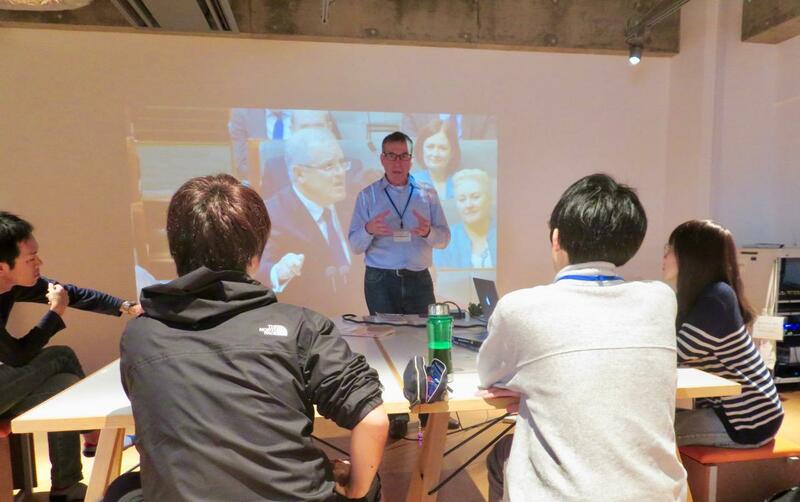 He encouraged the students to see every presentation as an "opportunity to resonate with their audience, and to bring about positive change." 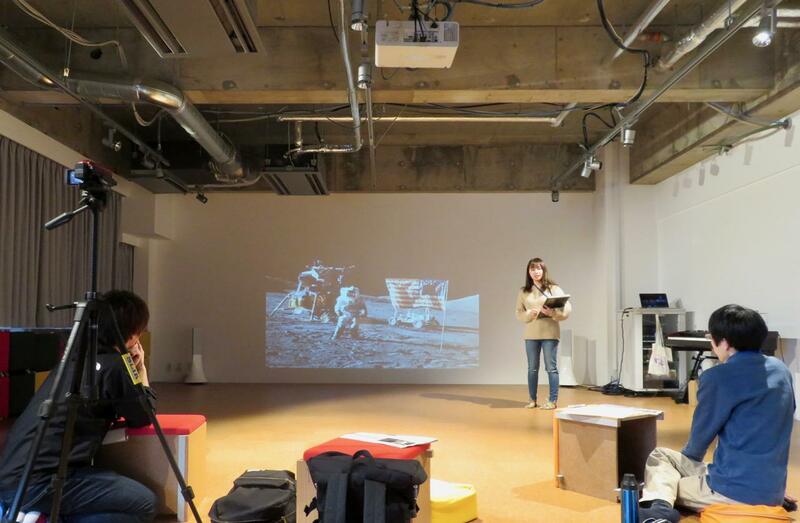 On 11 and 18 December, the students made their pecha-kucha presentations. These were video recorded. 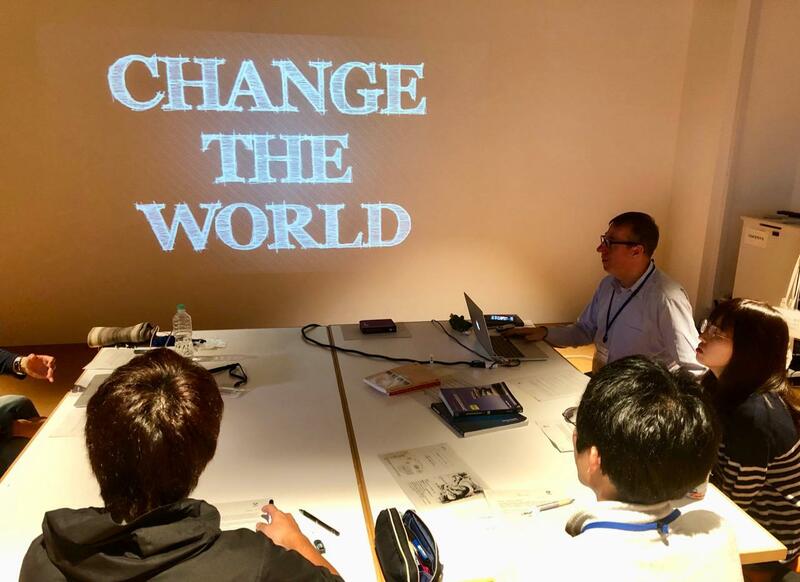 Associate Professor Mitsuru Kudo, who co-teaches the course, spent time giving feedback to the students and hearing from them about any challenges they encountered. He is keen to ensure that every student gains a deeper understanding of the course materials and that they can realize a significant improvement in their communication skills. Overall, the students found the pecha-kucha experience to be very positive (and challenging) and gained a lot by viewing videos of their performance. They all made noticeable improvements in their presentation skills, with the additional bonus of brushing up on their English.